Japan Embassy– Grant Assistance for Grass-roots Human Security Projects (GGHSP): Inviting Applications to improve Basic Human Needs (BHN) such as projects that are highly beneficial at the grass roots level and those that require timely support on humanitarian grounds. Funding brief: The GGHSP targets areas that aim to improve Basic Human Needs (BHN) such as projects that are highly beneficial at the grass roots level and those that require timely support on humanitarian grounds. Funding priorities: The GGP targets areas that aim to improve Basic Human Needs (BHN) such as projects that are highly beneficial at the grass roots level and those that require timely support on humanitarian grounds. 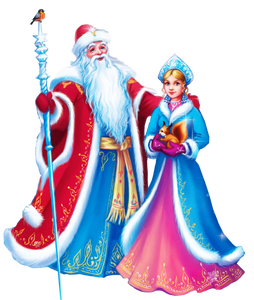 Typical projects include construction of primary and junior high schools, improvement of fundamental medical equipment for hospitals, excavation of wells, vocational training and seminars concerning poverty alleviation. In addition to the activities described above, the GGP addresses a variety of local needs in a flexible manner. Budget limit: The maximum grant amount per project is 10 million yen in general except where soft component for maintaining and managing the project such as construction of facilities is needed. Furthermore, projects that make a great contribution to human security, such as those that address cross-border issues including infectious diseases and environmental problems, and those that project people from threats and enhance capacity building of individuals and communities with the purpose of overcoming problems associated with refugees and internally-displaced people in regional conflicts, are exceptionally allowed to receive the maximum of 100 million yen. Project duration: Project period is 1 year after Grant Contract in principal. However, organization can apply for consecutive year(s) to develop and expand the project further. Application has to be submitted each year in the case. Special Note: An external audit is required for nay project whose cost budget exceeds 3,000,000 yen. ● Previous experience with international donors is preferred. ● International and local NGOs who have registration of NGO Affairs Bureau, Bangladesh. ● The GGP targets non-profit organizations that implement development projects at grass-roots level in eligible countries and regions. (*) These include: international and local non-governmental organizations (NGOs) working in developing countries (except those eligible those eligible for the Grants Assistance for Japanese NGO project in principle), local public authorities, educational institutions such as primary and junior high schools, hospitals and medical institutions. Except for measures against dispute and disaster, government and international organizations are not eligible for the GGP in principle. Individual and profit organizations are also not eligible for the GGP. (*Countries eligible for the GGP are selected from ODA eligible countries and regions specified by the Development Assistance Committee (DAC) of the Organization for Economic Co-operation and Development (OECD)). How to apply: Download application forms (GGHSP Format 1 and GGHSP Format 2) from following link and submit them along with additional supporting documents to the following address. Supporting documents must address the selection criteria. If you have any inquiry, please contact them; gghsp@dc.mofa.go.jp. Consultant, GGHSP Economic and Development Cooperation Section, Embassy of Japan, Plot No. 5 & 7,Dutabash Road, Baridhara,Dhaka-1212. Orphan Welfare Association (OWFA) Is registered by the Ministry of Social Welfare Govt. of Bangladesh August,14,2000 and no other registration. It activities mainly by Education=Training+Production+Marketing.While activities was going on and now we are in awareness program because we no fund. Also it is established by the distress people. At first we need land and building construction to continue of our work. Thanks for your comments! We suggest that please consult with the donor directly for any donor calls. If you want us to do this in favour of you, you can visit our ‘Services’page. 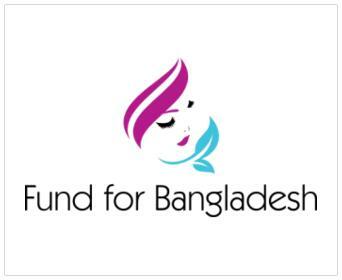 Even you can find you preferred ‘funding category’ from the following link-https://fundforbangladesh.wordpress.com/how-to/access-funding-short-cut/. And you can apply to the donor of your preferred funding choices. Best of Luck! ← The Waterloo Foundation: Inviting Applications to provide grants for research projects and for practical projects within Child Development programme.